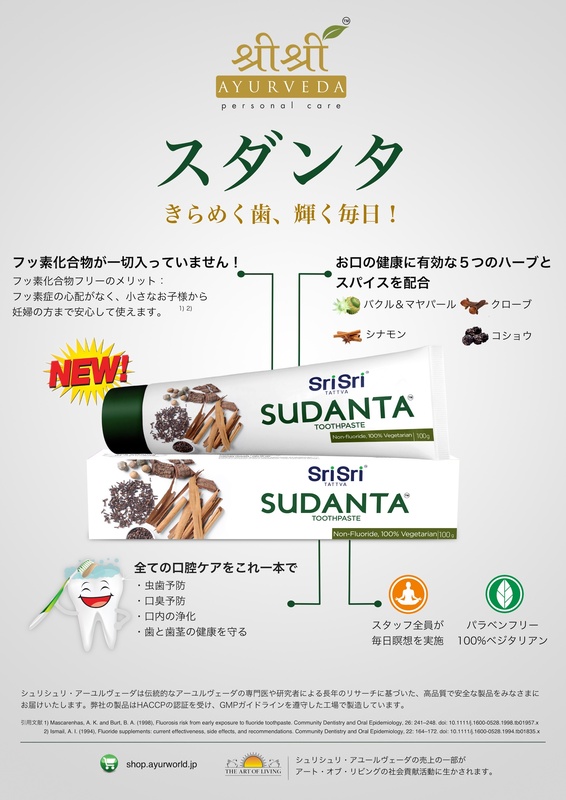 Smile confidently with Sri Sri Ayurveda's Sudanta Toothpaste, for complete oral care. Sudanta is a non-fluoride herbal toothpaste. It keeps your breath fresh, protects and prevents gum and tooth diseases, and ensures healthier gums & teeth. It gives long lasting freshness throughout the day. Made from Herbal Ingredients, it is totally safe and very effective. Clove is said to have a strong antibacterial property, helps to fight toothache & bacterial problems & its astringent property helps in keeping gums healthy. Cinnamon provides good flavor & is considered anti-inflammatory in Indian traditional medicine. Bakul & Mayaphal help in making gums & teeth strong. Black pepper helps in keeping away bad breath & gum problems.